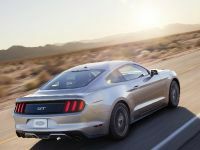 After Chevrolet's jab yesterday about how the Camaro is thrashing the Mustang in terms of sales, Ford delivers a hasty comeback. 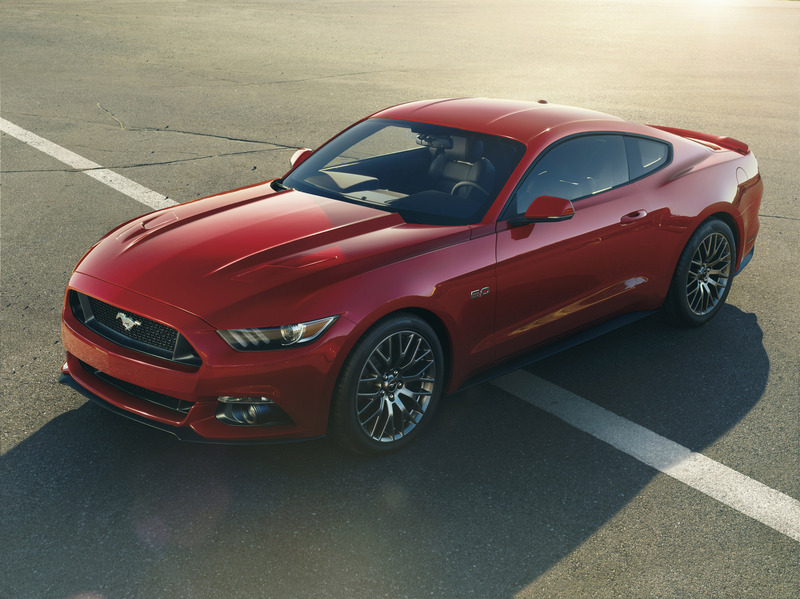 It's a brand new pony! 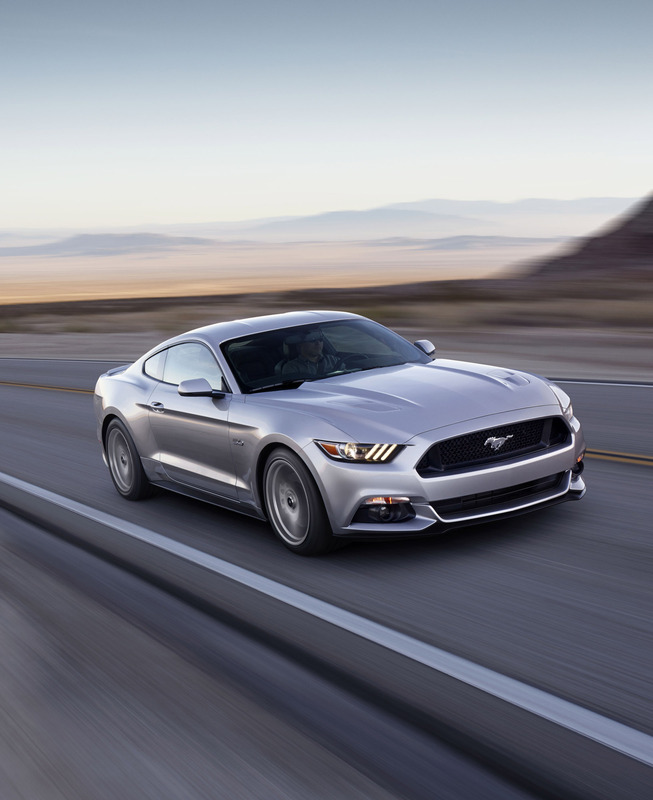 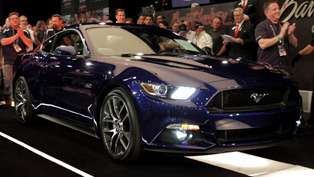 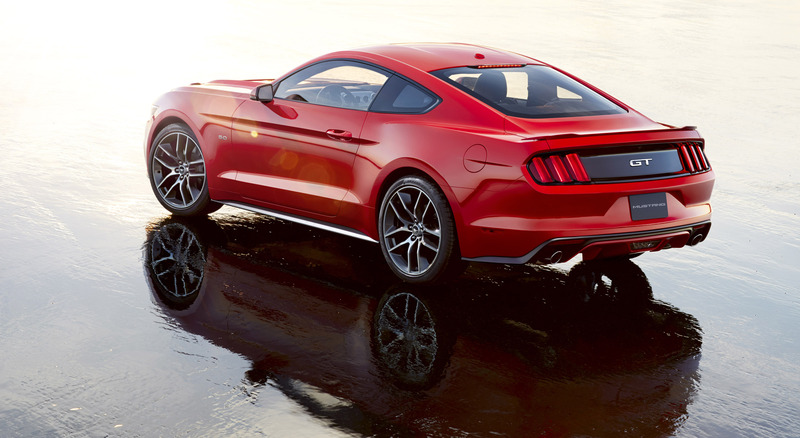 The 2015 Ford Mustang got unveiled today simultaneously in six cities across four continents. How do we know it's a Mustang? Well, the press release says so, but also just look at it. 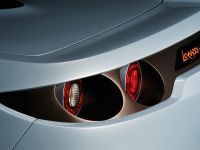 It is a modern reinterpretation of a classic shape: a long hood and a short behind, still low, and still sloping at the back. 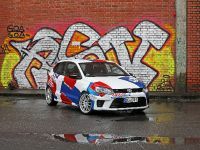 So not many surprises on the outside then. 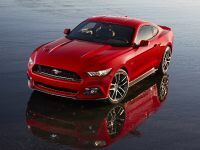 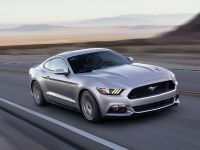 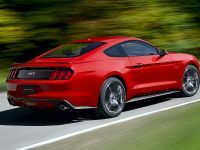 What did shock us a bit, however, was the fact that it will now be available with a 2,3-liter EcoBoost. 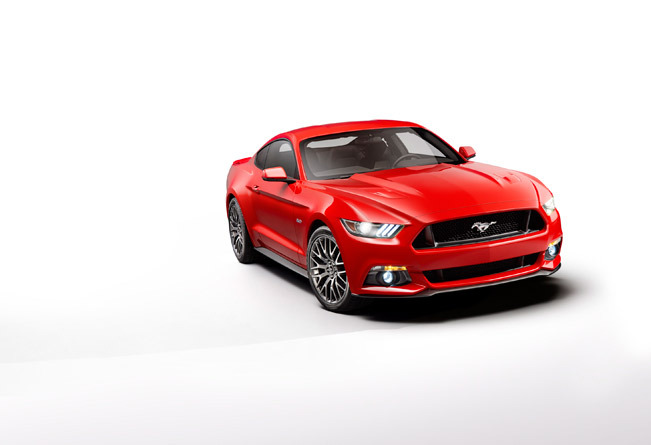 Never thought that you can put "Eco" and "Mustang" in one sentence. 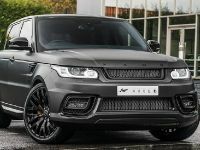 But because of some clever engineering (variable cam timing, a special intake manifold and turbocharger housing) you expect around 305 hp and 407 Nm of torque which is pretty decent to say the least. 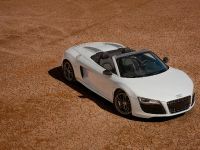 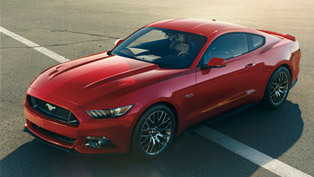 Of course, purists can still refer to the 5.0-liter V8 engine that goes all the way up to 420 hp and 529 Nm of torque. 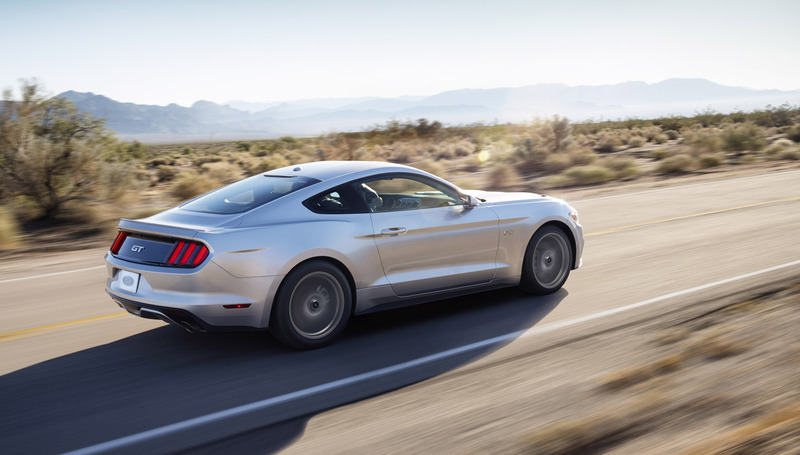 An automatic gearbox with paddle shifters is available as an option. 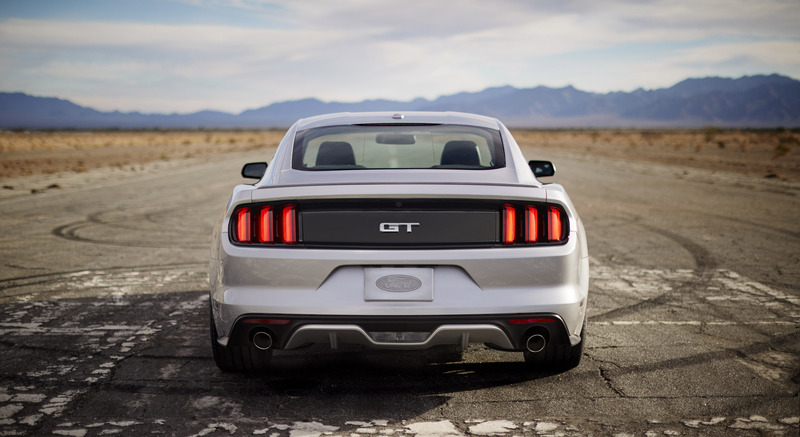 The good news is that whatever power grade you get, you will be able to put it to good use. 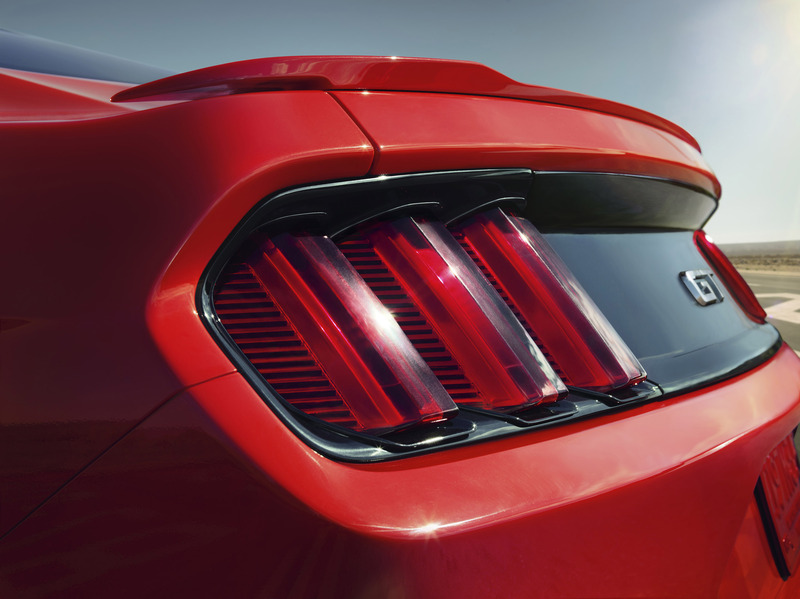 The 2015 Mustang has an all-new suspension system. 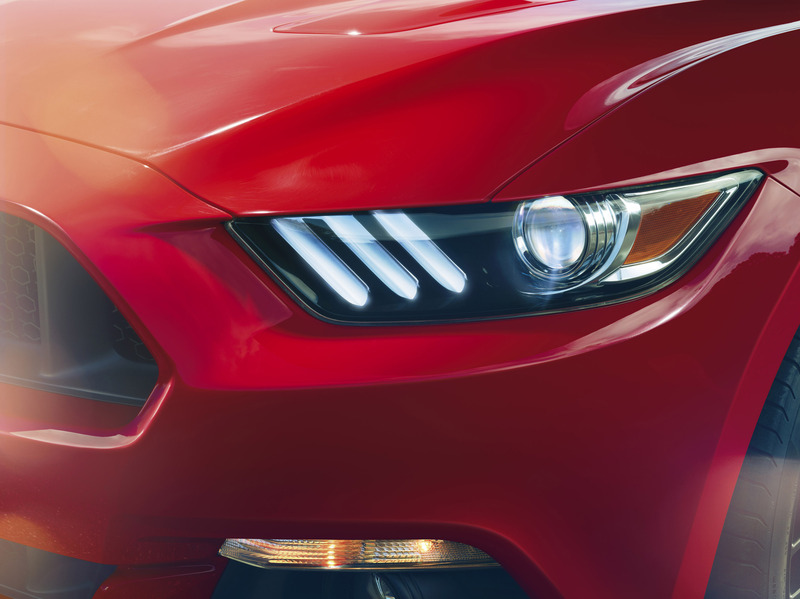 The front gets treated with a new perimeter subframe that stiffens the front structure yet remains lighter than its predecessors. 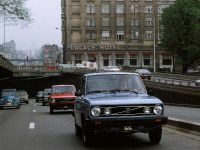 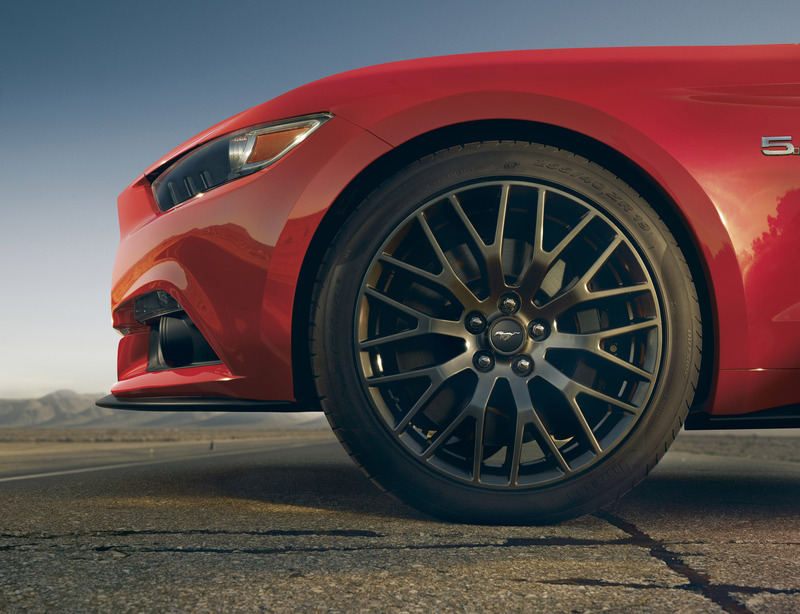 The back axle is mounted on an integral-link independent suspension. 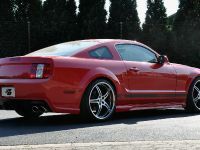 The geometry, springs, dampers and bushings all have been specifically modified and tuned for high-performance cornering. 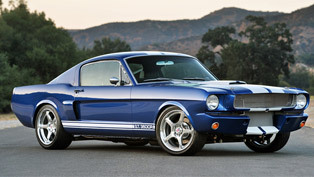 Aluminum knuckles help reduce the curb weight. 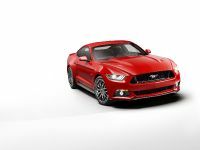 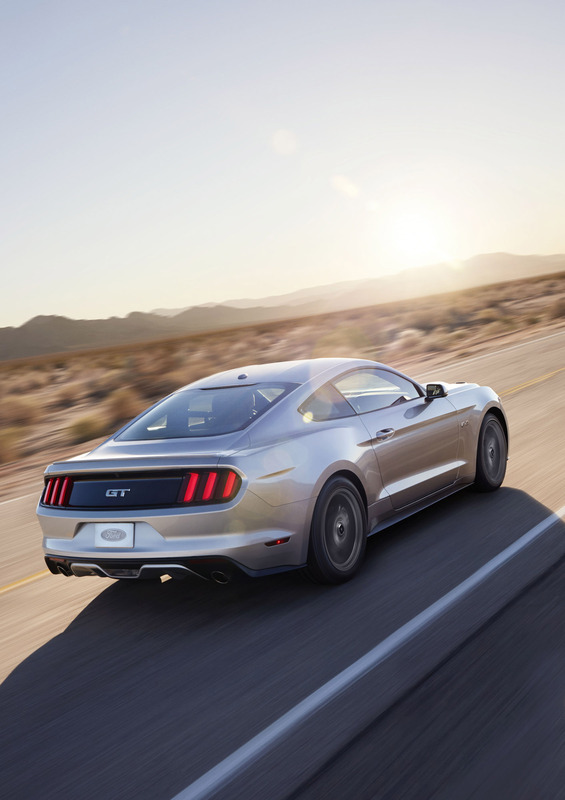 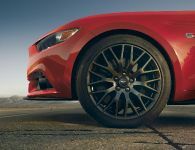 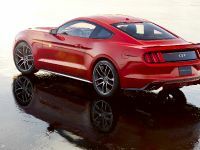 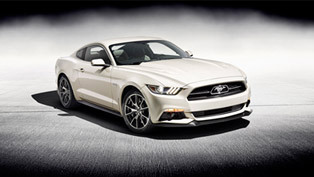 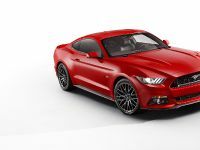 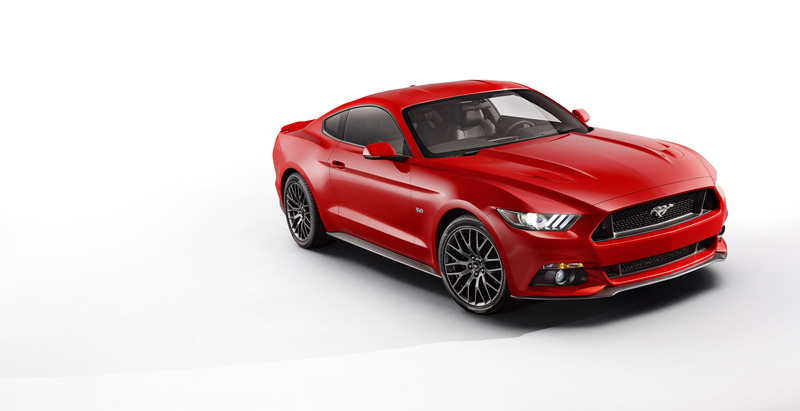 All Mustang GT models in Europe will come as standard with 19-inch wheels and performance brake packages. It's not just the materials used that are clever, but the nervous system that operates them as well. 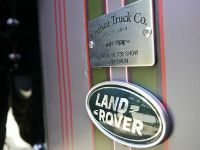 There are different modes selectable from the plane cockpit-inspired cabin. 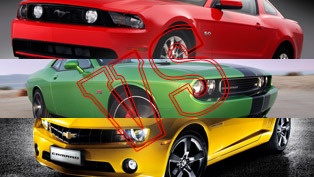 Thus you can adjust the throttle response, steering feedback, and transmission and ESC behaviour to your taste. 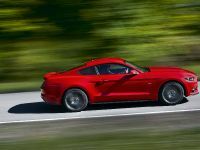 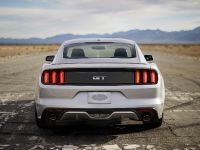 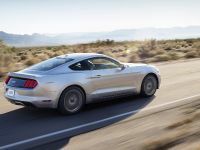 There's torque vectoring for the wheels and the manual transmission GT Mustangs have launch control which should be loads of fun on the track. 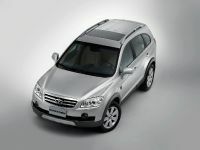 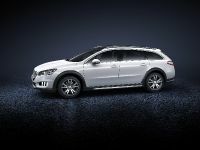 Optional conveniences include the 8-inch navigation system accompanied by a 12-speaker sound system.